There are times when the amount of new music can be overwhelming. As someone that tries to digest as much music as possible each week, I can sometimes look at a list and take a deep breath and go…wow, how am I going to go through all these? So, sometimes it’s a matter of going for acts that I already know will be interesting and fresh and then, bit by bit, pick up those new artists that are plugging away slowly and are less known. I’m starting this week with a song that I nearly didn’t put in because, hot damn, if you don’t know Flight Facilities by now you’re on the wrong planet. I’m an unabashed fun, right from the start and the fact they are now selling out huge venues and touring the world with festivals is testament to their hard work. I love this song because it’s tapping into the low-key vibe that Hugo Gruzman and James Lyell do so well. They’ve also brought in the voice of Dustin Tebbutt and it’s a bloody match made in heaven. A bassy beat, minimal production and glistening synths over Tebbutt’s voice. It’s the sort of track that might not go off in a live scenario, but pop on some headphones and it’s something special. Oh yeah, and they’ve just announced a big national tour around this new single, All Your Love. Keep flying, boys. From a high-flying duo to an up-and-coming duo that keep on releasing amazing tracks. leftprojects (formally Left.) have been on my radar for around five years and I think this track is set to step things up a notch. 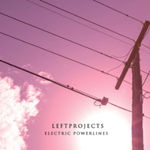 Electric Powerlines is a glistening track that exhibits some slick-as production from Jono Graham (who you may recognise from his collaborations with Horrorshow, Spit Syndicate and Turquoise Prince) along with the airy graceful voice of Sarah Corry (who you’d also recognise from similar acts). I love the length of this track, it gives you a chance to appreciate the vibe and really get into the smooth groove along with a sweet little key-change bridge. Another beauty from this inner-west Sydney pair. Catchy songs. We all love them. Those ear-worms that get in and never leave. Sometimes a good anthemic hook will stay with you for decades. I have a feeling Trophy Eyes have made that track that will stand out as the one people remember in the future. You Can Count On Me starts with the hook that will not only get in your head, but means something – “Some of my friends sell drugs/But I just sell sad songs/To the ones who feel alone/You can count on me when it all goes wrong” – before diving into a bloody good alt-rock track with a message. Musicians are being scrutinised more than ever, perhaps with just cause, but perhaps we expect too much from them? This song aims to highlight the temperamental nature of an industry where every move is magnified by social media. 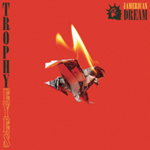 The Newcastle band’s third album, The American Dream, is due out on the 3rd of August. 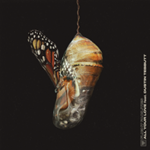 A change of pace with the latest track from Sydney-sider via California, Ainsley Farrell. Walls glistens over you like silk as Farrell delivers a piece of Americana-folk that bounces softly over your ears whilst talking about her battle with being stuck in a rut. “I don’t want these walls/close to my body (at all? )/Watching the world through a screen/Tell me, are you listening?”. It’s a song to slow down the pace, encourage you to look around and appreciate what’s around you. Farrell is currently in America preparing her next album which we look forward to hearing back home very soon. I love a good song whistle. Think of the best whistles in songs and whilst some Guns n’ Roses might come to mind, there’s also that eerie old western sound that evokes tumbleweeds and gunslinging. There a touch of the wild west (hello Ennio Morricone!) 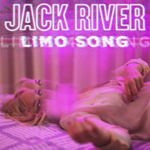 in this new Jack River track, Limo Song, and it’s a cracker of a melody. I love the diversity that Holly Rankin serves up. She’s no pop-princess; she writes emotive songs that make you listen, appreciate and admire, as a songwriter that is getting better and better with every release. 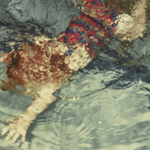 This also launches perfectly into her debut album, Sugar Mountain, which is out on the 22nd of June. I love that she’s gone with this more laid-back track after the much poppier Ballroom. The death of former Surfer Blood guitarist, Thomas Fekete, was sudden and shocking. An aggressive sarcoma overcame the talented musician in 2016, but he was making music right until the end. After releasing a solo album before his death, during his treatment, a second album, glow, to be posthumously released this Friday, shows how talented he was, even when terminally ill. Moulding Over is a lo-fi, low-key – but hopelessly joyous track, recorded at home whilst hoping to recover. He sings about his mortality and how he aims to take control of his own fate in an environment where so much was decided for him. Achingly beautiful. 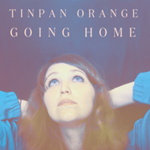 We’re Going Home with Tinpan Orange now, who return after their 2016 album, Love is a Dog. The duo of Emily Lubitz on lead with guitarist and singer Jesse Lubitz is a another amazing sibling act that Australia has produced. Add in some eerie strings and haunting percussion and you have an accomplished new song that launches into Europe’s festival season for the group. I love the atmosphere around this track as it swirls around your head. Canberra is producing some amazing music right now (as it has for a long time), but it is traditionally hard to break out of the small cold territory. 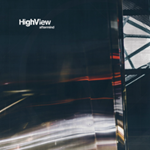 The rumble you hear, however, is from HighView, who are bringing the heat this winter with a stonker of a new EP, Aftermind. I listened to these five tracks a few times, trying to pick a favourite, but kept coming back to the last one, Animal. It’s a 5:31 track, which almost puts it in the epic category (you’ll see why! ), but I love the progression, the tight rhythms and the transitions between verses and just when you think it’s going to end, it kicks in to the piano intro. (hello FNM!) Excellent, tight, hard-rock to keep you warm this winter. Kuren is exploding right now. The multi-faceted producer just played at Vivid Sydney in the gd Opera House, played on Like a Version on triple j and has released a smasher of a new track in Never Enough. It’s a hectic little banger, where Kuren teams up with indie-rock front-man Sam Phay who gives some extra edge to the delivery. There’s some pulsing syncopation, some softness at the end and very nice trickles of production in here. No wonder there’s a lot of buzz around the man born as Curtis Kennedy. Keen for more. The last track this week is something different. Perth’s Elise Reitze and Rosie Taylor are classically trained percussionists that transitioned their studies into the world of electronic percussion and are creating sounds that are literally out of this world with their project, Feels. 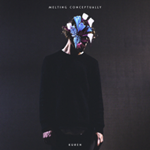 This instrumental track, Research, could be just that as they experiment with new sounds and new skills after being sent to an Ableton workshop in Berlin. There’s something here that I can see being used for a lot of collaborations in the future. Fun, glitchy and catchy stuff to round out the week of new music. So I joined Spotify and discovered new music that I liked. Shoulda done it sooner, you are a champ, love your work.